Custom Gel Pens Personalized in Bulk or Blank. Promotional, Inexpensive. Budget Prices in the USA and Canada. Super economy, bulk gel pens, personalized with your logo. We also supply bulk blank (not custom imprinted) gel pens at EQP (End Quantity Price). Budget Prices in the USA and Canada for wholesale personalized gel pens. 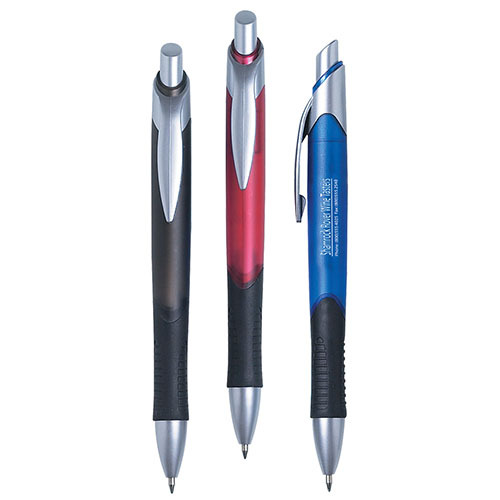 Our custom imprinted gel ink pens are provided with ribbed rubber finger grips for writing comfort and control. Free artwork design. We will send you a proof for your approval before production.